British duo One Bit (Jonty Howard and Joe Murphy) have ended the year on a high with the release of My Way, their Mylo-sampling single that features the vocal talents of Noah Cyrus. 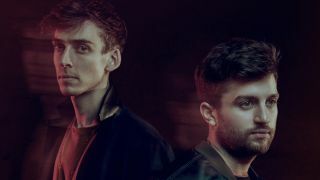 This success follows a string of official remixes that have seen the guys rack up the streaming numbers and YouTube views. As they head towards what could be a big 2018 for them, we asked One Bit to dish up the five most important learns of their music production career thus far. “We often find using reference tracks incredibly useful. If you’re feeling uninspired then there’s nothing like listening to a bunch of great songs to get you in the mood! “When we’re working on a mix we always try and get a couple of references of tracks that we think sound great (this will often include a few of our own recent releases) and then flick back and forth to see how what we’re working on stands up against it. Once you’ve ironed out all the obvious issues, these references can be really useful to give you a gauge of where to sit the key elements within your mix. “One thing we’ve learned over the years is that a good arrangement will almost mix itself. For example, if you’re having problems with the low end in your mix, try looking at your arrangement before jumping straight to an EQ. How many elements are there contributing to the low end? If you mute out the kick and bass is there any unnecessary clutter left in that frequency range? The same process goes for all frequency bands. “We also find it really useful to pick out any tracks in the mix where the fader looks suspiciously low and try muting them out - if it’s not contributing anything useful within the context of the song then get rid of it! Keeping the arrangement in mind with respect to frequency ranges will save you hours of going round the houses later on in the mixing process. “When we first started out there was a tendency to think that we needed a new platform or a new synth to be the thing to make our productions sound like a hit. We remember spending hours trying to research what compressor vocal producers used to make sure we had the right thing! There’s a reason why so many of the biggest tracks of the moment have so many people working on them! “We find a lot of people ask us for one-stop fixes for their issues without understanding exactly what it is they are doing (eg, ‘what EQ settings do you have on your vocal?’). “If you can’t explain how the compressor you’re using works or what the rough signal flows of your favourite synths are then it might be worthwhile getting the manual out or doing a bit of research - it’s surprising how eye-opening it can be! Nothing is ever as complicated as you think, and having this bed of understanding can really help you understand what you’re listening for and why. “We’ve found that having a good core understanding of our tools is incredibly helpful - it speeds up our workflow and lets us focus more on the music, with technology aiding instead of getting in the way.